Did you know the average household could cut a third of their utility bill costs if they switched to energy-efficient appliances and lighting? Pair this change with switching to solar energy, and you will reduce or completely eliminate your utility bill. 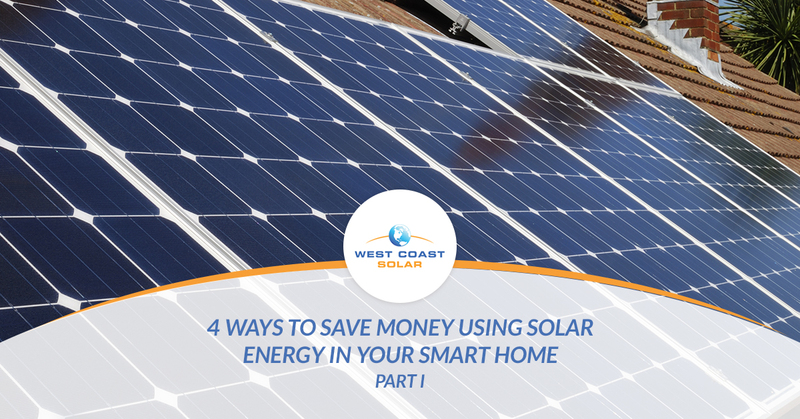 West Coast Solar has been serving their customers for more than a decade when it comes to energy efficiency and smart home integration. If you want to reduce energy use, create more efficient energy use in your home, or simply want to reduce the ever-increasing rise of your utility bill, give us a call. In the meantime, you can continue reading this two-part blog series to learn the four ways the average household uses and loses energy throughout the day. It may seem obvious, but your heating and cooling is one of the primary ways you use energy in your home throughout the day. You may leave it running all day to ensure you have a cool or warm home when you return from work, but you could be losing energy using this strategy. You may shut it off entirely, which means you have to sit for 30-40 minutes for the heating or cooling to catch up and change the climate in the home. This may seem like an energy saver, but it’s nearly as bad as leaving your unit running all day. If you want to save money and energy, install a programmable thermostat in your home. What this does is allows you to set temperatures throughout the day to reduce cost and increase efficiency. Our own customers have reported saving hundreds on their annual utility bill by simply programming their thermostat and using their heating and cooling when they need it most. Instead of shutting it off entirely or leaving it at a comfortable setting, as if you were there, you can program it to work less but keep the climate of your home ideal. It may surprise you, but an average of one-quarter of a household’s annual utility cost is used to keep the lights on. When you think about it, how many lights are on in your house right now? Whether you know the exact number or not, those bulbs can be replaced with energy-efficient alternatives to reduce your utility bill over the long term. If you commit to energy efficiency, you can save money and reduce your impact on the environment. One major way to do this is to upgrade your home so you can monitor and manage its energy use better. This includes your heating and cooling, electronics and appliances, and your pool usage. If you’re interested in home automation or solar panel installation, give us a call! Read part II of this series and learn two more ways to save energy with solar panels and a smart home.